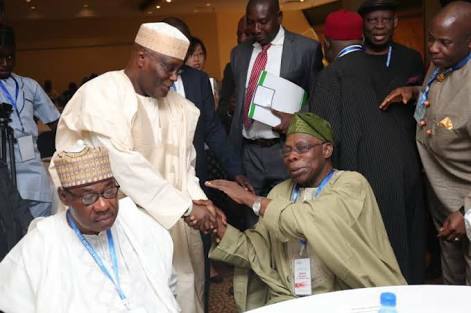 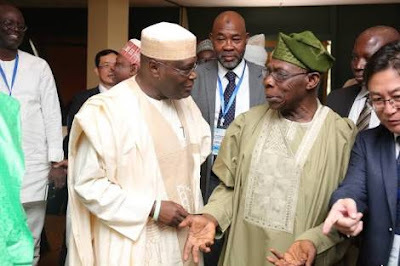 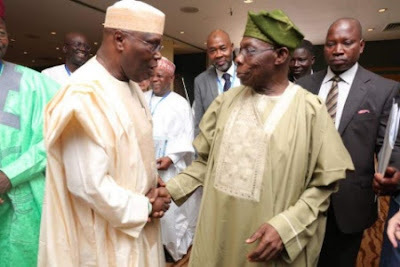 Former President Olusegun Obasanjo and his former Vice President, Atiku Abubakar on Wednesday met in Abuja. 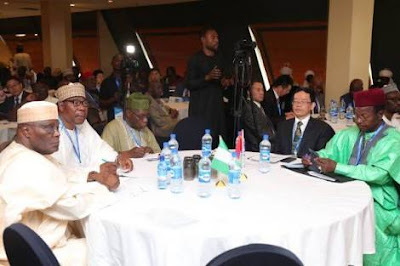 The two men, who may likely work together towards the 2019 presidential election, were pictured at the Gusau Institute on ‘A New Era for China-Africa Cooperation’ at an Abuja hotel. 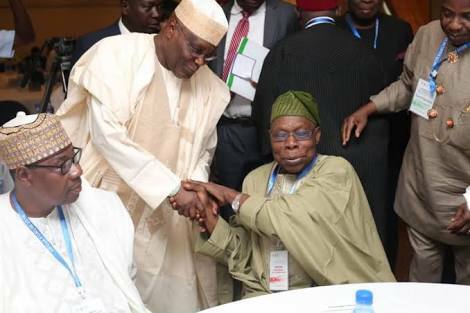 The photos shared by Paul Ibe, Media aide to Atiku on his Twitter handle, revealed the former VP was also in the company of former president of Benin Republic, Boni Yayi, former Niger president, Mahamane Ousmane and former National Security Adviser, Aliyu Gusau (rtd).